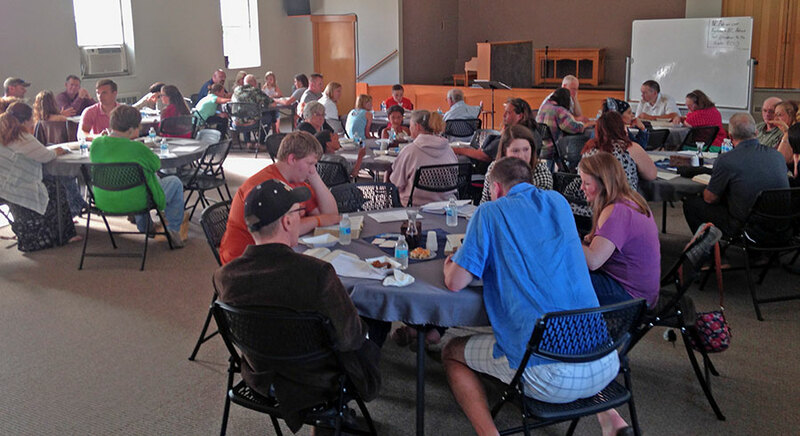 “Everybody has a place at a table.” This has become the motto at Neighborhood Church in Adrian, Michigan. Neighborhood Church is becoming a church where people who would often struggle to find a place at church can feel quickly accepted and included. Adrian is a small, diverse town of approximately 21,000 people. Although Neighborhood Church is currently composed of seventy or so individuals, their congregation is likewise very diverse. “Our prayer has been, ‘God make us a church that reflects the city you’ve called us to,’” Nate says. The staff pastors work to be involved within the community in various degrees, and it is reflected within the demographic of the church. “We have communion every week to remind us of the heart of the Gospel and why it is that we all have a place at the table,” Nate shares. Neighborhood Church’s focus is simple and clear: connect people to Jesus, each other and neighbors. In so doing, they fulfill their mission to discover and develop life in Christ together. Neighborhood Church covets your prayers as they seek to continue to influence and love the community of Adrian.